How do I contact the Senior Pastor? From the Home Page, select either “About Us” or “Guest Info”, then select “Meet the Staff”, double-click on “Ralph Douglas West” and an email to “Pas” will be generated. You may call The Church Without Walls at 281-649-6800 and ask forPastor West. If I lose something, where do I go to retrieve it? If you lose something during service, please check with an usher to recover your item; after service, you may check at the reception desk. Do I have to be a member to be active in a ministry? If you want to attend any ministry event, in general, you do not have to be a member to participate. If you want to be in the leadership of the ministry where you help plan and execute different events, then yes, you should be active member or watch-care member to participate. What is the process of having my baby dedicated? Please email the Baby Dedication Ministry at volunteer1@churchwithoutwalls.org or call the Baby Dedication line (281) 649-6868. Baby Dedications are held at 10:00 a.m. on the 3rd Saturday of every other month — January, March, May, July, September, and November – and alternate among the Queenston, Eldridge and Bingle campuses. There is no charge for participation. Parents are not required to be active members of the church to participate. You may call The Church Without Walls at 281-649-6800 and the Receptionist will take the update over the phone or you may leave a message with the new data. From the home page of the website, select “Guest Info”, then select “Contact Us”, scroll down to the online contact area and complete the name and address sections on the bottom half of the page. In the “Comments or Prayer Request” field, enter a note “update address” or something to that effect. You may also email Membership@churchwithoutwalls.org and include the updated information. If I am in need of a financial giving statement, who should I contact? From the home page of the website, select “About Us” or “Guest Info”, then select “Meet the Staff”, select one of the “Financial Assistants” listed on the bottom half of the page and double-click on that person’s name; an email will be generated. You may call The Church Without Walls at 281-649-6800 and ask for a financial assistant. What is the approximate response time to information submitted online? Responses to most inquiries or submitted information are made within 24-48 hours. 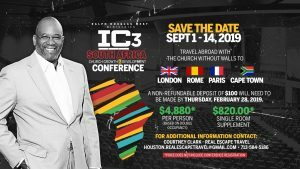 In most large churches people do not connect, how can I connect at TCWW? First, during the Decision Time process, you will meet 1-3 members of the church; during this process, you will be asked to attend the First Steps class. Second, a member of the New Members ministry will contact you. Third, in the First Step class, you will be introduced to other new members who have recently joined the church. Fourth, as you join a ministry, you will be introduced to other members in the church. Fifth, as you take (Christian) “body building” classes, you will meet other members. How do I become a member of The Church Without Walls? In a church service or Bible study, you will be asked to walk to the front and someone will meet you and walk with you. To join online complete the membership form. You will receive a call or email with additional information. Are we allowed to rent space in the facilities? The Church Without Walls will allow space to be rented for weddings or funerals (for non-members). Questions regarding any other use of the facilities should be directed to the church receptionist at 281-649-6800. If I am sick, who do I contact? If you are sick during service, please let an Usher know. The Usher will contact Medical Emergency Response Team personnel who are on duty at each service. If you are sick outside of service, please contact the Crisis and Support Care Minister (Rev. James Harris) or call the church at 281-649-6800 and the Receptionist will take your information. In general, the Crisis Support Ministry and/or the Deacon Ministry will attempt to visit members who are in the hospital or call to check on members. What ministries do you have for young children? A Lil’LEAPers Ministry (Ages 0 – 5) staffed by church personnel and volunteers for kids in the Pre-Kindergarten age group. A KWOW (Kids Without Walls) Ministry (Age 5 -12) staffed by church volunteers for kids from kindergarten to through the 6th grades (middle school). A Youth Ministry (Ages 13 – 18) staffed by church volunteers for kids in junior high and high school. All of these ministries provide a safe environment where kids can be developed spiritually. The Lil’LEAPers and KWOW are considered to be part of the TCWW Children’s Ministries. If I was baptized as a child, do I have to be baptized again if I choose to join TCWW? 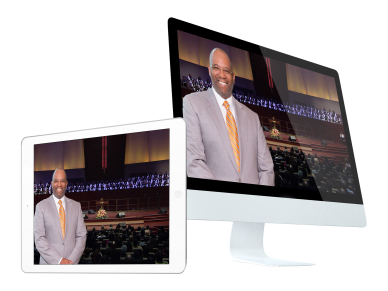 If you were baptized as a child and understood the significance and meaning of being baptized, you do not have to be baptized again to join TCWW. If you did not understand the meaning of baptism, then you can be baptized again. If I am only going to be in Houston for a few years (college, job relocation, etc.) should I join the church under Watch Care? Yes, if you do not plan to make the Houston area your permanent home, then yes, we do recommend that you join under Watch Care; if you do plan to make the Houston area your home, then you should join as a regular member of the TCWW family. In the event that I am member of the church and I lose a loved one, are funerals only limited to my immediate family (spouse or children)? No, you can invite whomever you wish to a family member’s funeral including, but not limited to spouse, children, family, friends, co-workers, or affiliated groups. Depending on the size or location, the funeral may be held in the chapel or in the sanctuary at one of the three campuses. I am a member and I want to have my wedding at TCWW, what is the process and the cost? Please contact the wedding coordinator at 281-649-6847. Why is the ||Queenston|| location called the ||Main|| Location? Queenston is called the “Main” location because the majority of the church staff are housed at the Queenston location and it is the Church’s largest physical facility. At what point is membership considered inactive and how do I reactivate it? An inactive member is one who does not attend services for an extended period of time, and/or does not financially support the TCWW ministry for an extended period of time, and/or when correspondence is returned for a member over an extended period of time. The membership can be updated by providing an up-to-date mailing address, regular attendance at services, and financially support. Pastor West travels to all locations, does that mean I will never get a chance to shake his hand unless I attend the final worship service? 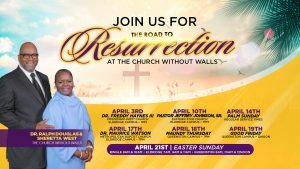 Pastor West’s schedule varies from Sunday to Sunday, however, attending the last service does increase your potential of having direct interaction with him on Sunday. Pastor West is also available after Tuesday night Bible Study. Whom should I contact if I have an idea or suggestion for a ministry that is not listed in the church’s ministry directory? If you have an idea or suggestion for a ministry, contact the Director of Ministry at 281-649-6800.
l would like to join the church here but my child is autistic, do you have a ministry for special needs children? No, we do not have a ministry for autistic children or children with special needs at this time. However, you are welcome to attend any of our services. We do have children and youth ministries and cry rooms for younger children. I have Lupus, do you offer a support ministry specifically for this disease? Yes, we have a Lupus support ministry called Victorious Life. This group meets monthly and is under the direction of Rev. James Harris. Please call the church to get details on the monthly meeting or to talk to Rev. Harris. If there is a death in my family, what should I do? What age should a child be baptized? The general guideline used by the church is that a child should be at age 7 or above once they profess their belief in Jesus Christ. Exceptions are made if a child is less than 7 and clearly articulates their belief and knowledge in Jesus Christ. Can I eat in the classrooms? Eating is only allowed in the Fellowship Hall on the Eldridge and Bingle campuses. Eating is allowed in the Fellowship Hall and the Choir Room on the Queenston campus. Can I use space for non-ministry related events? Do you rent out space? The Church Without Walls only takes space reservations for Ministry related events. Ministry coordinators have been given access to VEMS to reserve space for meetings and events. The church does not rent space for baby, bridal showers, recitals, etc. Can I make copies? Where do I need to go to make copies? Copies should be made in room 249, the ministry workroom. This process should be used for ministry meeting material or classroom material. Requests for color copies should be made in advance with the Church Receptionist. What is the process for having printed material (handouts, flyers, cards or graphics based items)? Provide your material to the Ministry Coordinator 6-8 weeks before your desired due date. Can we create our own designs for materials? Yes, original designs can be submitted, but the church’s communication coordinator will review the design and provide feedback if the design needs to be enhanced. Can we move equipment, stands, etc., around on our own to fit the needs of our event? No, any specific equipment, stands, or boards, etc. should be made at the time of the request for space. The maintenance staff will not be able to facilitate last minute changes. The maintenance staff sets their schedules and daily tasks based on events and meetings scheduled for that day. Rooms are also cleaned and prepared based on the reservation request that is made in VEMS. My ministry wanted to have a meeting and saw an empty room so we used it. We were scheduled to use a specific room but decided to move to a different room. Is that ok? No, that room may be reserved for another group. All ministries are asked to use the room that is assigned to them via VEMS reservation system. Using the assigned room assists the maintenance staff with their schedules for cleaning rooms as well as preparing the rooms with the right equipment for requested meetings. My ministry decided to serve lunch in the Fellowship Hall after our meeting. Can we use the kitchen? It wasn't part of our request. We need tables, chairs, tablecloths, etc. Is that ok? No, the maintenance staff will not be able to facilitate last minute changes. The maintenance staff sets their schedules and daily tasks based on events and meetings scheduled via VEMS for that day and the requirements specified in the VEMS reservation. My ministry were scheduled for and used the kitchen. We used pots, pans, dishes, etc. Who washes the dishes and cleans the kitchen? The ministry who uses the kitchen is responsible for cleaning the kitchen. That includes washing any pots, pans, or utensils that were used and putting them in their proper places. My ministry scheduled a breakfast / lunch. We looked in the kitchen and saw two cases of water and a case of soda. We also saw dinner rolls on the shelf. We didn't order theses items. May we use them? No, those items were probably ordered by another ministry for use at a later time or date. Please do not use any items that were not ordered for your event.